A coastal highway like no other, the Road to Hana is a perfect way to experience the beauty of Maui, and with a fun Maui hotel special at Courtyard Maui Kahului Airport, visitors will be fully prepared to enjoy the scenic miles from Kahului to Hana. KAHULUI, HI--(Marketwire - Sep 11, 2012) - A coastal highway like no other, the Road to Hana is a perfect way to experience the beauty of Maui and with a fun Maui hotel special, visitors will be fully prepared to enjoy the scenic miles from Kahului to Hana. Often billed as a "must" among things to do while in Maui; the remarkable journey over the winding coastal Road to Hana includes magnificent views of some of the island's most remarkable areas. Beaches, cliffs, waterfalls and miles of rainforest are all included in a day-trip that allows visitors to enjoy the natural beauty and unblemished landscapes that have been preserved by the Hawaiian culture. 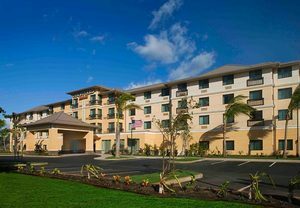 While travelers will find themselves in the midst of many Maui attractions when staying at the all-new Courtyard by Marriott Maui Kahului Airport hotel, the "Experience the Road to Hana" package is one of the most exciting Maui hotel deals offered. In addition to providing gracious accommodations, the attentive staff of this premier hotel near Wailuku will have guests "packed and ready to go" as they venture off for the day as this package includes a Road to Hana CD Guide and a box lunch with beverage for two. A good night's rest will be welcomed both before and after this remarkable adventure and with rates starting at just $209* the relaxing comforts and gracious hospitality of the Courtyard's Kahului hotel will prove to be an ideal choice as the hotel features all of the brand's exclusive amenities including easy-to-use GoBoard technology in a spacious and inviting hotel lobby. Offering a variety of guest rooms and suites, including a two-room family suite, additional hotel amenities include a refreshing outdoor pool surrounded by meticulous landscaping and relaxing cabanas, a whirlpool and well-equipped fitness center. Guests will also find themselves conveniently located within minutes of the island's pristine beaches and popular attractions like Upcountry Maui and Paia. The "Experience the Road to Hana" package can easily be booked online by using promotional code YX1 at http://www.marriott.com/hotels/travel/hnmmk-courtyard-maui-kahului-airport/ or by calling 1-800-228-9290 and referencing the code. *Rates are per room per night and valid seven days a week through 6/30/13 based on availability at the time of reservation. Offer does not apply to groups of 10 or more rooms and may not be combined with any other discount or promotion. Please visit hotel website for additional terms and conditions. 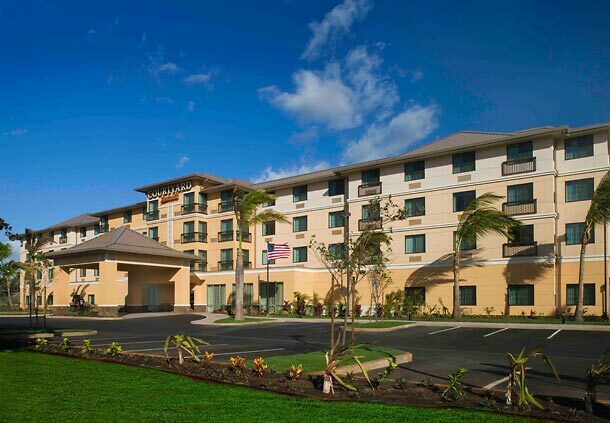 The new Courtyard Maui Kahului Airport Hotel welcomes both leisure and business travelers to enjoy its warm and friendly island atmosphere and well-appointed guest accommodations -- all boasting the Courtyard's latest contemporary designs and pampering amenities. Conveniently located just a mile from the airport, the hotel also features state-of-the-art event space ideal for business conferences, family reunions, intimate weddings or corporate retreats. Complimentary airport shuttle service and free wireless Internet access throughout the property are standard services that make this innovative new Courtyard an attractive choice for Maui travelers.